NASA's Voyager 2 is sending back weird signals - hijacked by aliens ? A GERMAN UFO expert has claimed that a NASA spacecraft may have been hijacked by aliens - who are now attempting to contact the Earth. NASA installed a 12-inch disk containing music and greetings in 55 languages in case intelligent extraterrestrial life ever found it. But last month the probe began sending back distorted messages from its location near the edge of the solar system that baffled NASA scientists were unable to decode, Mr Hausdorf says. "It seems almost as if someone had reprogrammed or hijacked the probe, thus perhaps we do not yet know the whole truth," the author of UFOs - They Are Still Flying told Bild. 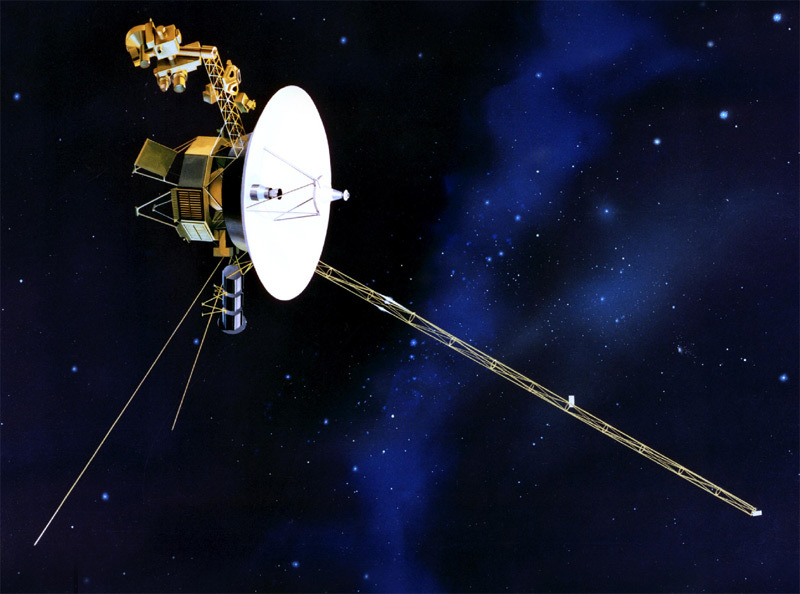 The signal from Voyager 2 - which takes 13 hours to reach the Earth - broke off fully on April 22. NASA said engineers were working to solve a data transmission fault.